The Galaxy S3 close up. On Thursday, Samsung will announce the 'mini' version of the popular smartphone. 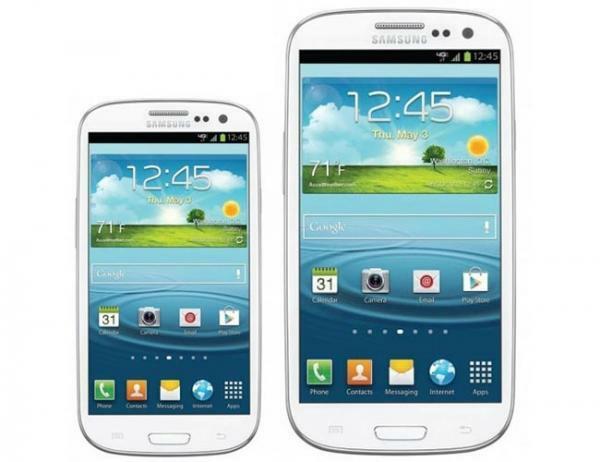 Samsung has confirmed that it will unveil a smaller version of the popular Galaxy S III smartphone tomorrow. Speaking to Korean media this morning, Samsung mobile chief JK Shin said that Samsung will lift the lid on a 4-inch version of the Android-powered smartphone on Thursday, a week after the smartphone maker sent out invitations to a launch event. Hinting at the device's name, Shin said: "There's a lot of demand for a 4-inch screen device in Europe. Some may call it an entry-level device, but we call it 'mini'." Shin did not reveal any additional details of the device -- such as pricing and availability -- ahead of tomorrow's launch, however. According to The Verge, the downsized Galaxy S3 will not be an entry-level device, suggesting that it will pack the very same features as its larger, 4.8-inch sibling. According to German technology site MobileGeeks, meanwhile, the mini smartphone will have a screen resolution of 800x480 pixels, along with a rear 5-megapixel camera. It is believed that a 1GHz dual-core STE U8420 chip will power the Galaxy S3 mini and feature 16GB of flash memory with an expandable MicroSD card. The battery is understood to be, at 1,500 mAh, a lower specification than that of the larger model, but is offset by the smaller processor and less battery-intensive display. The German technology site also claimed that the smaller Samsung smartphone will include the latest version (4.1) of Android, nicknamed Jelly Bean. AppleInsider argues that the new Galaxy S3 mini "falls well short" of the iPhone 5, based on the specifications. The iPhone 5 boasts a resolution of 1,136x640 pixels and an 8-megapixel rear camera.